I’ve been dreaming about everything summer this week. The warmer evenings and the lack of spring break vacation have me yearning for a good trip to the tropics. 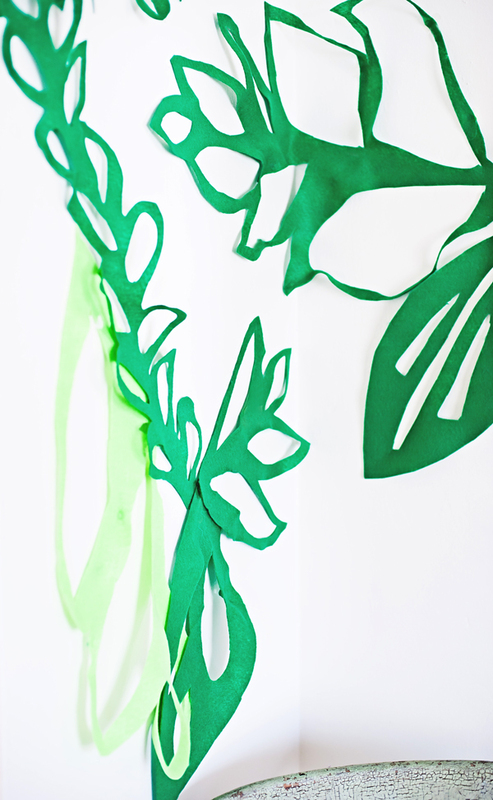 While we wait for the season to change, I figure we can bring a little bit of the tropical vibe to Reno with this oversized funky leaf garland. 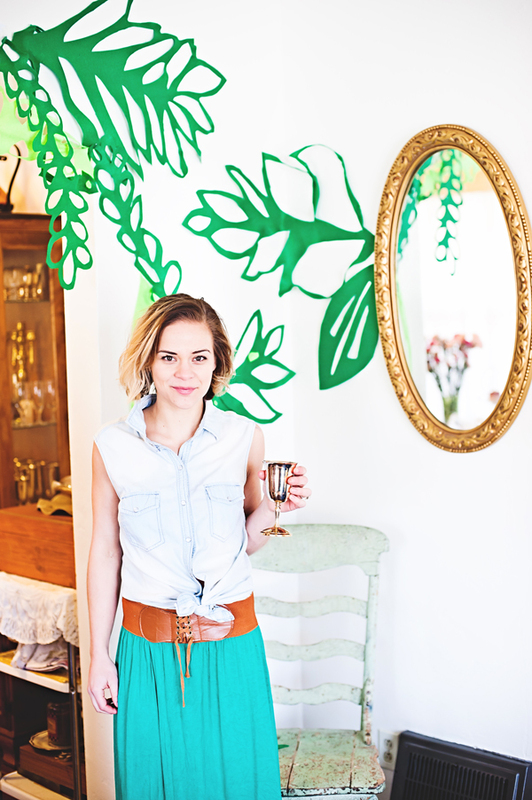 The garland is super easy to create and great fun for summer parties of all kinds. Using felt gives the ability to fill up a large wall with very little investment. We bought a couple different shades of green felt on fabric rolls and took to cutting them into this fun tropical leafy pattern. The garland makes a popping photo backdrop and an interesting statement piece when scrolled out along the walls of a party room. 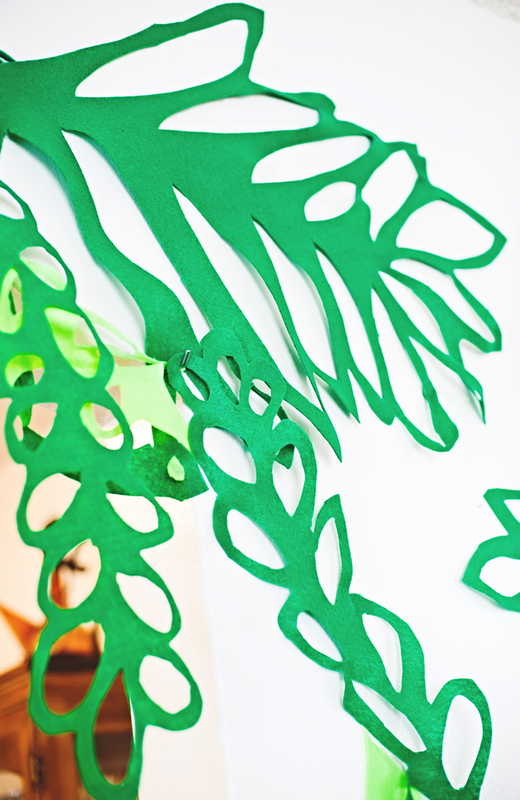 Start by cutting out the felt into various leafy shapes. 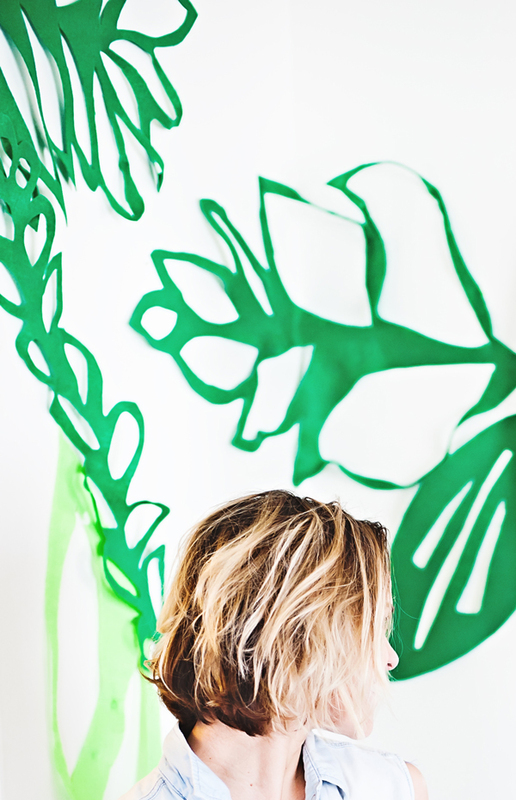 There’s not really a template here, just cut into leafy shapes – the larger the better! Arrange the leafs on the floor how you envision them going on the wall them use the command strips to gently hang them, overlapping as you go. I love how they look like they are vining right out the mirrors and through the doorways! 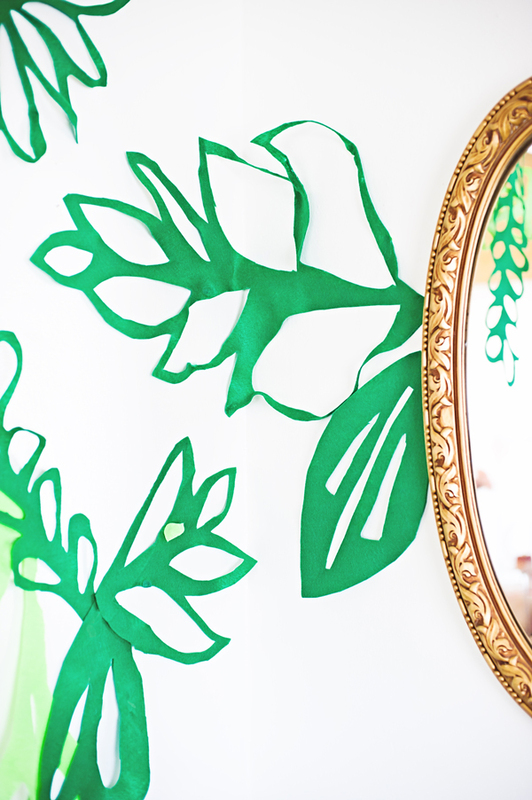 Such a fun and easy way to bring the tropical summer vibe home.